Pre-start Health and Safety Reviews (PSR) – Canadian Rack Inc.
Pre-start Health and Safety Reviews (PSR) are a Ministry of Labour requirement. This regulation requires the owner, lessee, or employer to have proper documentation for new or used storage equipment. Canadian Rack has provided numerous of Pre-start Health and Safety Reviews for our customers and also for owners of storage equipment who have received a Ministry of Labour “Order to Comply”. Making sure your storage system complies with Ontario Health & Safety Act is important. Our experienced staff members are happy to review your site. 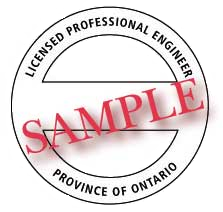 Please review the Ontario Ministry of Labour PSR Guideline online for more information.